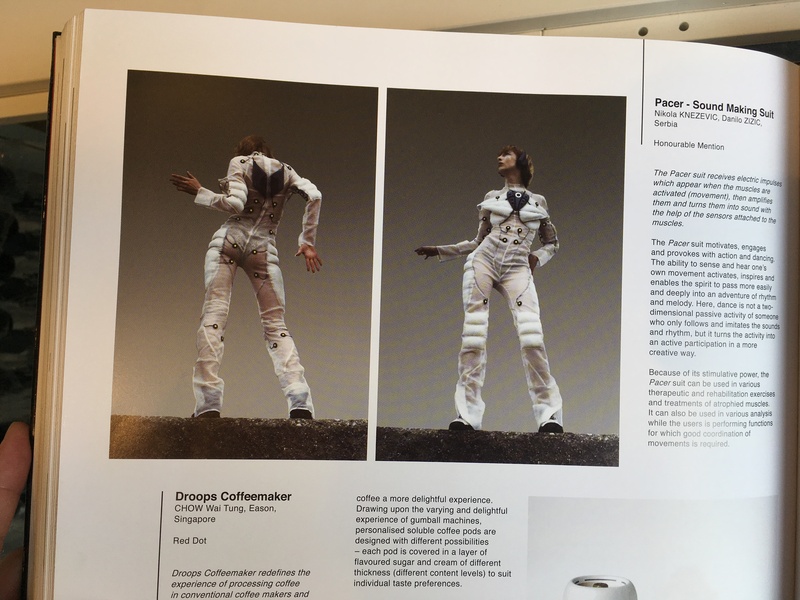 Wearable Studios – Page 2 – Based on work by Hannah Perner-Wilson, Andrew Quitmeyer, Rad students, and more! In-Process A collection of the making-of. 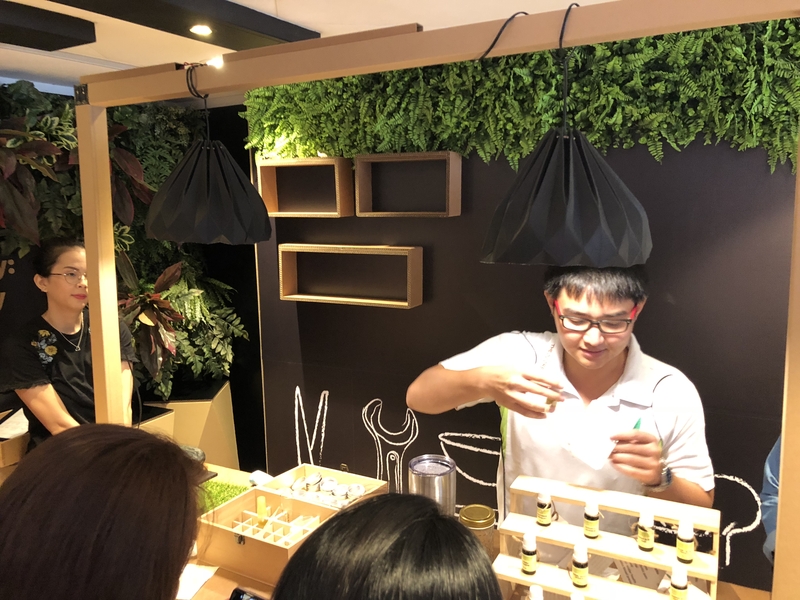 This field trip is the one that I enjoyed the most as I got the chance to create my own moisturiser and insect repellent. It was a very interesting experience as I never knew how challenging it is to come out with a pleasant scent. 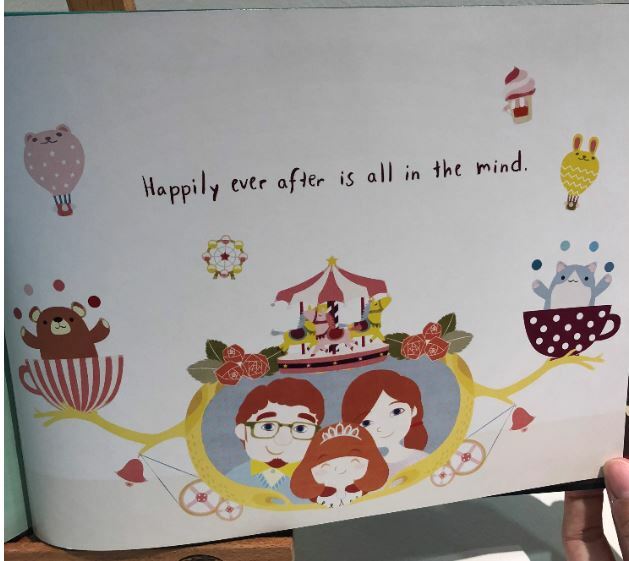 For the second field trip, I came across this artist that published two different children book. 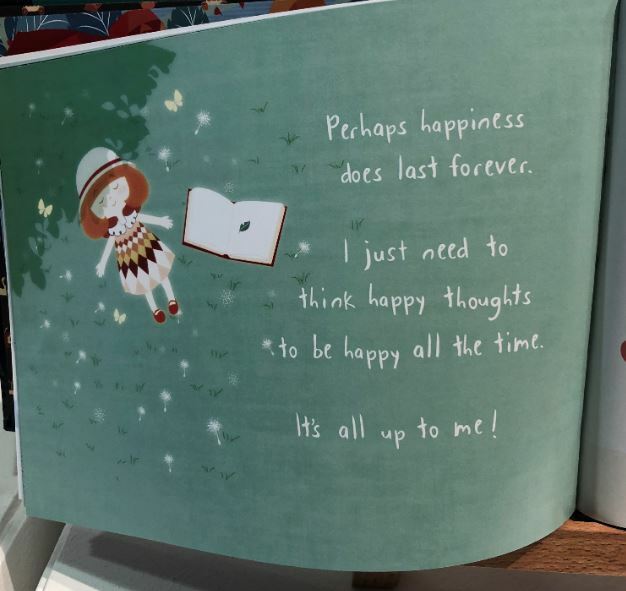 One book that contains positive thoughts about life and the other contains the artist’s childhood memories. I find it really nostalgic as it makes me reflect back on my childhood. 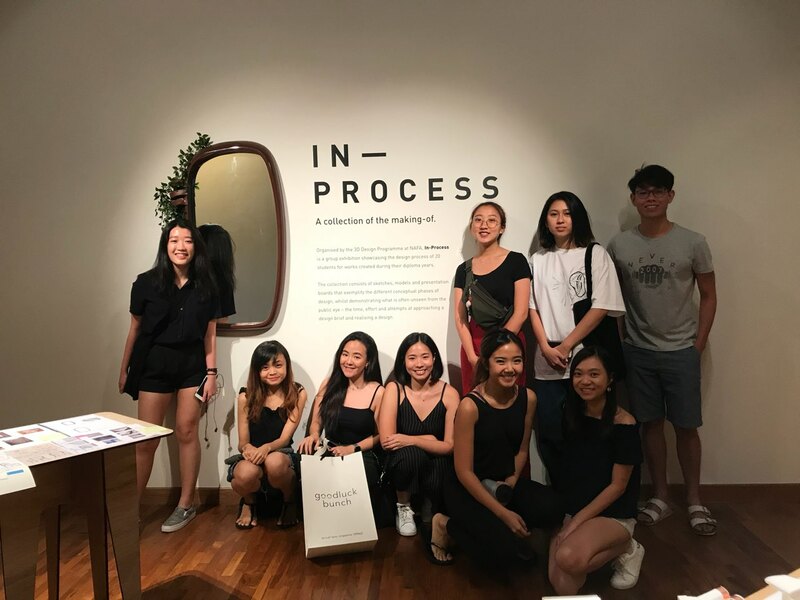 The last field trip I attended is the in-process exhibitions and it contains the art pieces of the NAFA students. 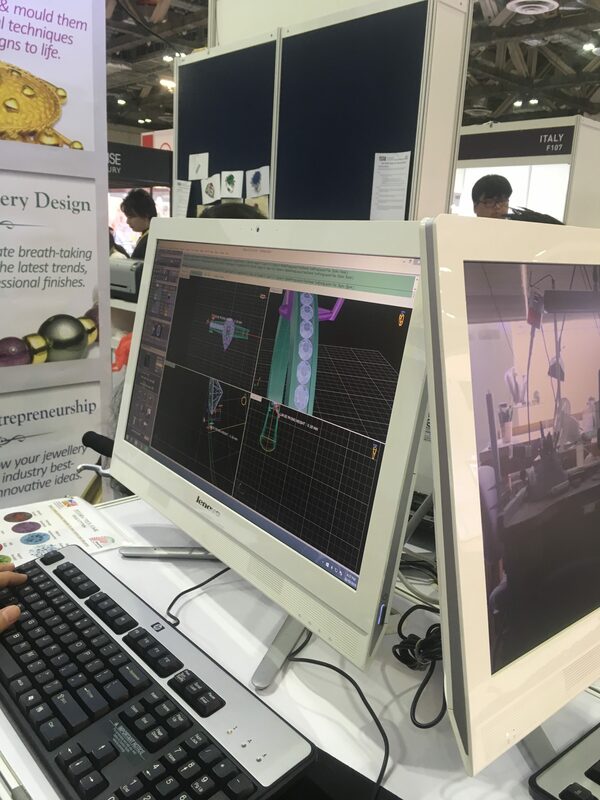 Not only they showcase their final product, they also showed their documentation which documents their entire process in coming up with the final design. This was beneficial to me as it helped me when I was documenting for my group project. Here are the 3 field trips I attended! 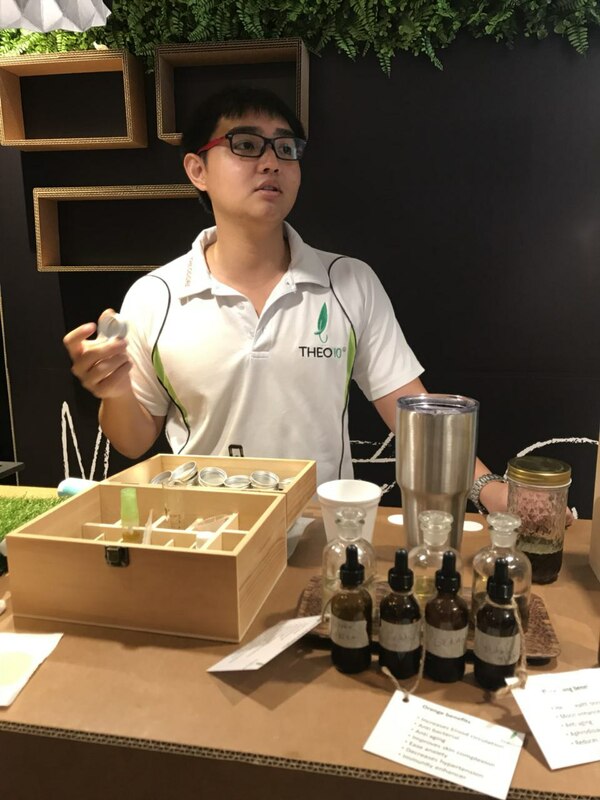 During this workshop, we learnt how Theodore, the founder of Theo10, pursued his dreams in creating natural products and the hard work he put in to come up with the right formulations. 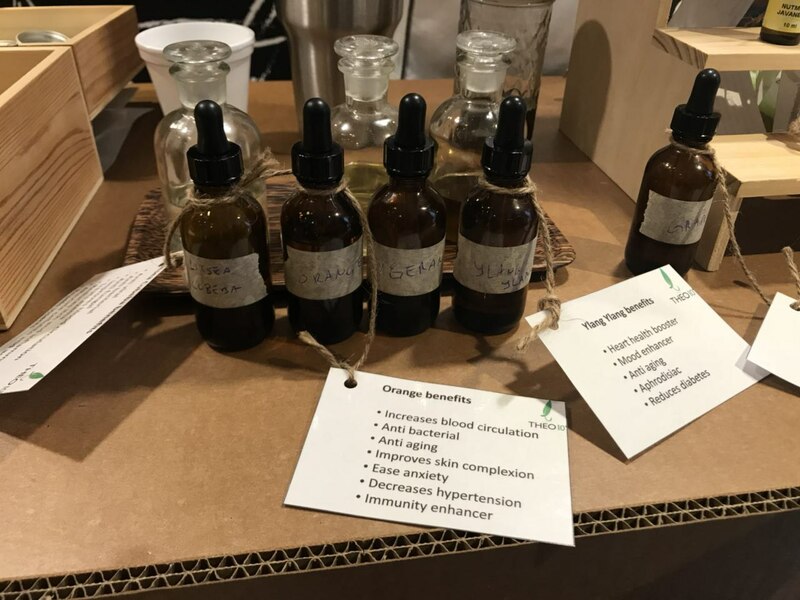 We even had the opportunity to create our very own moisturisers and mosquito repellents! 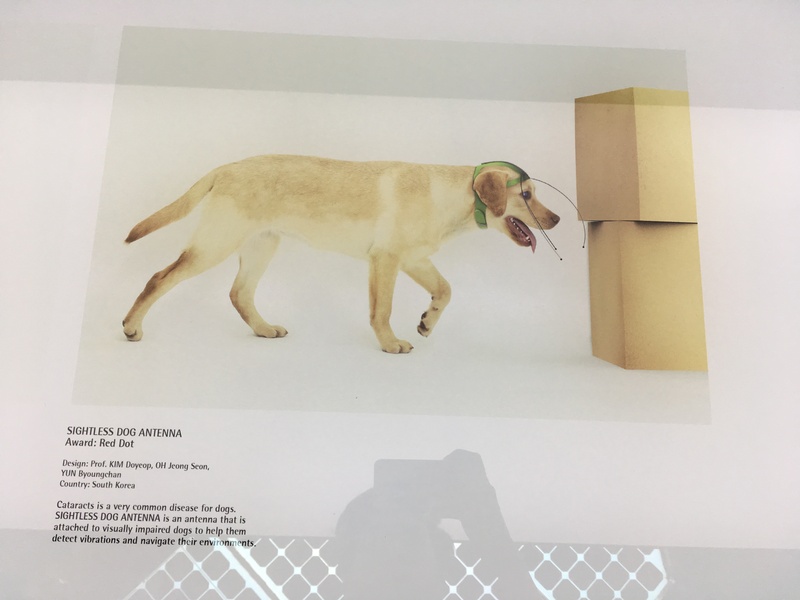 This exhibition showcased the works of NAFA’s full-time and adjunct lecturers’ practices and I thought that they were really unique and inspirational. 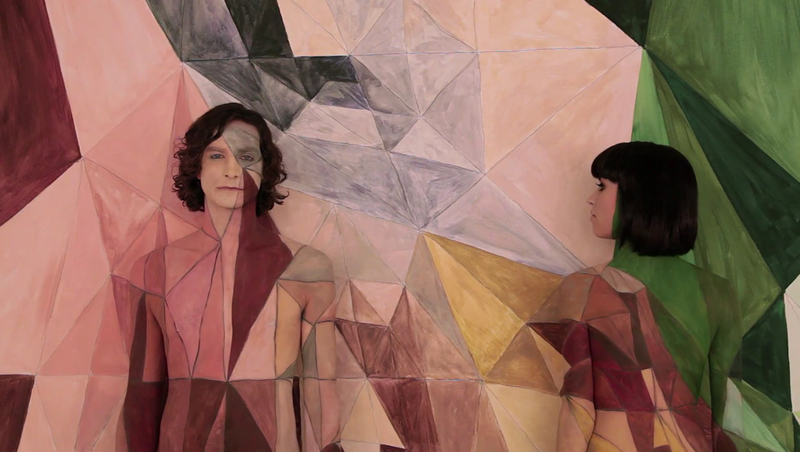 Here are a few of my favourite artworks! 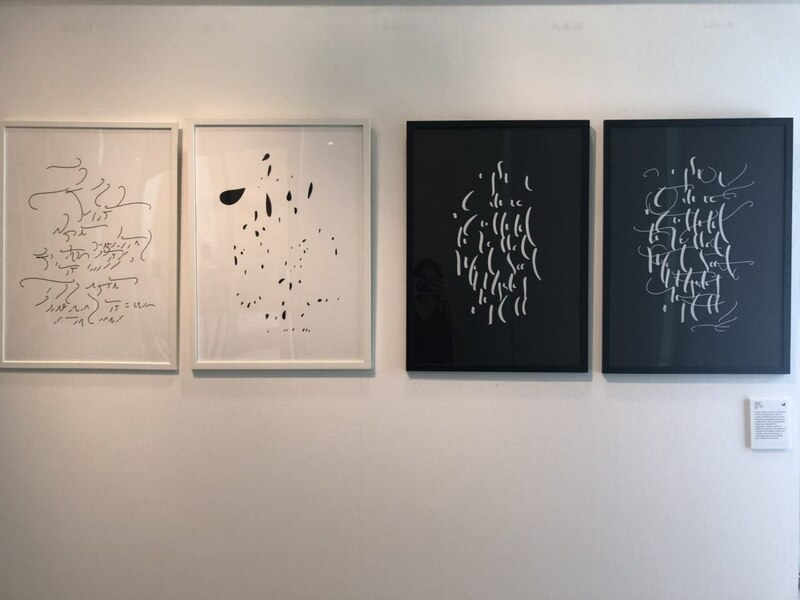 This exhibition showcased the design process of 20 students for works created during their diploma years. Their sketches, models and presentation boards really gave us great insights to the hard work and effort put into creating artworks. 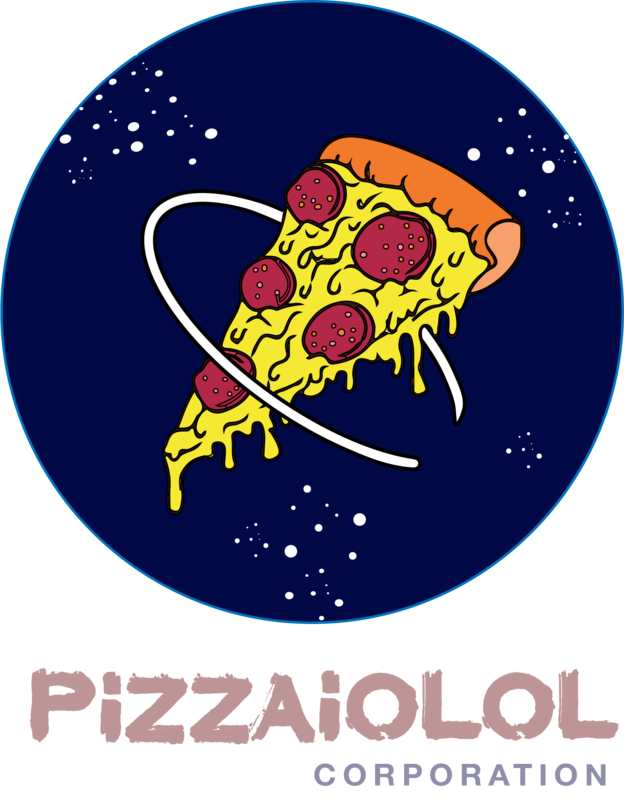 Final Project Post — PIZZAIOLOL Co. Here are the links to my print and online documentations, and other project files! 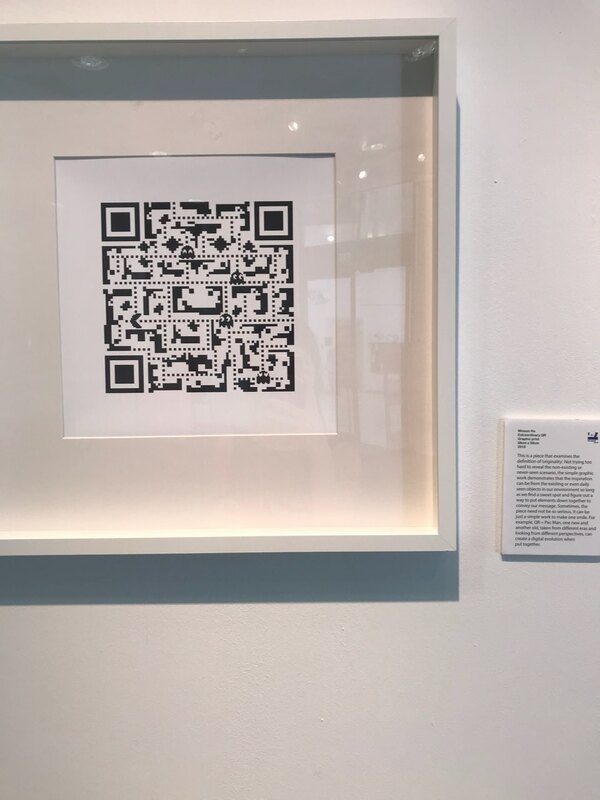 Here are the links to our print and online documentation! One small design decision I noticed in Click the movie was the use of a simple remote control. The basic utility of the remote with all its’ buttons is taken to another level where it becomes a time control gadget. 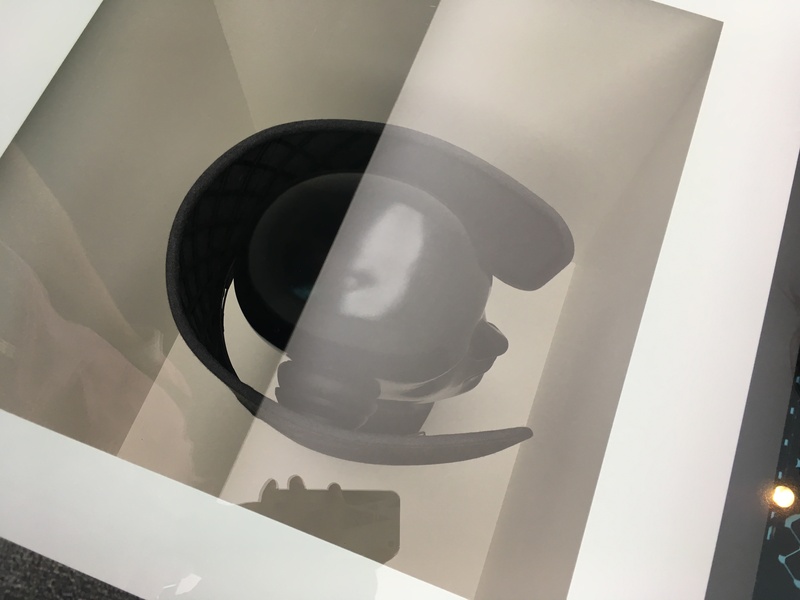 It amplifies how a design does not necessarily always have to be something elaborate and it can be an adaptation from an everyday device. Here are the 3 field trips I attended, 2 of which I organized! 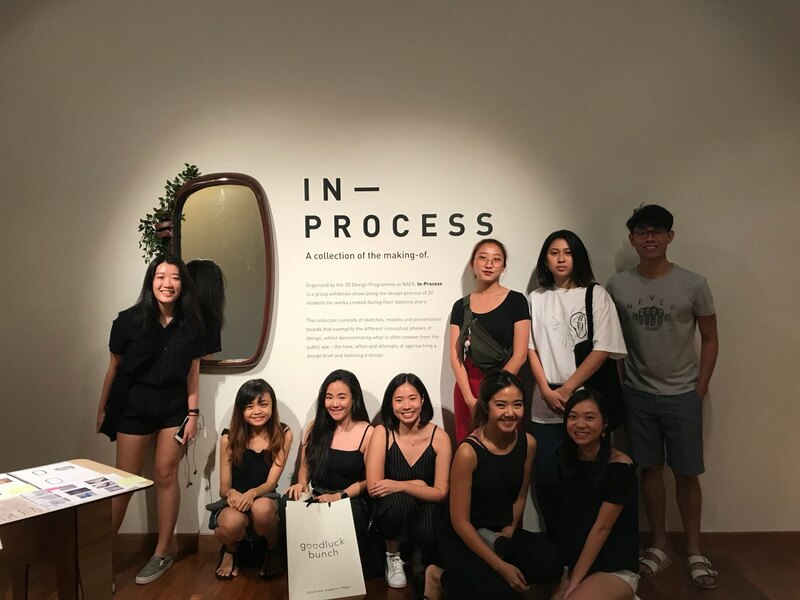 Steph organized this field trip to A Preview Of The Future at the Red Dot Design Museum. 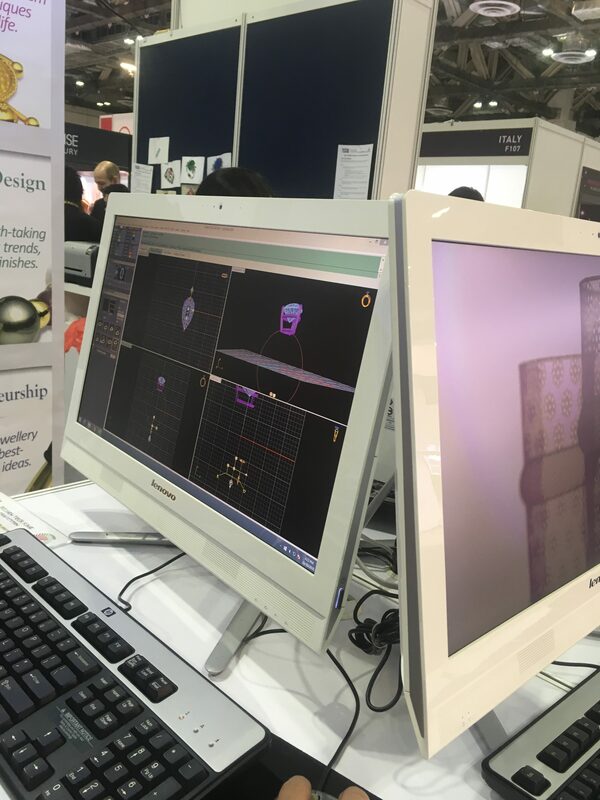 There were many different categories of designs and ideations that all won awards. These categories included lifestyle to healthcare to tech. It was great inspiration for our final designs and also gave us ideas on how to construct our prototypes. 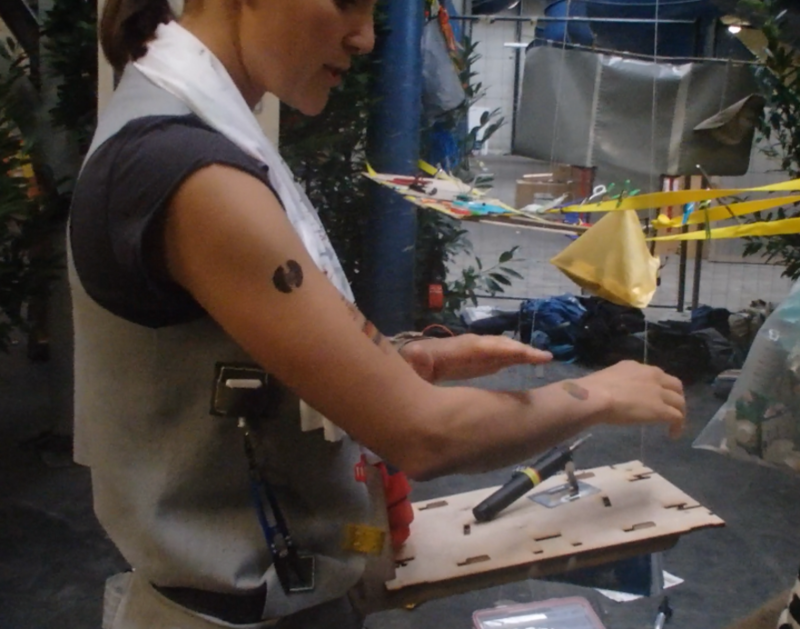 There were also really good examples of wearable studios. 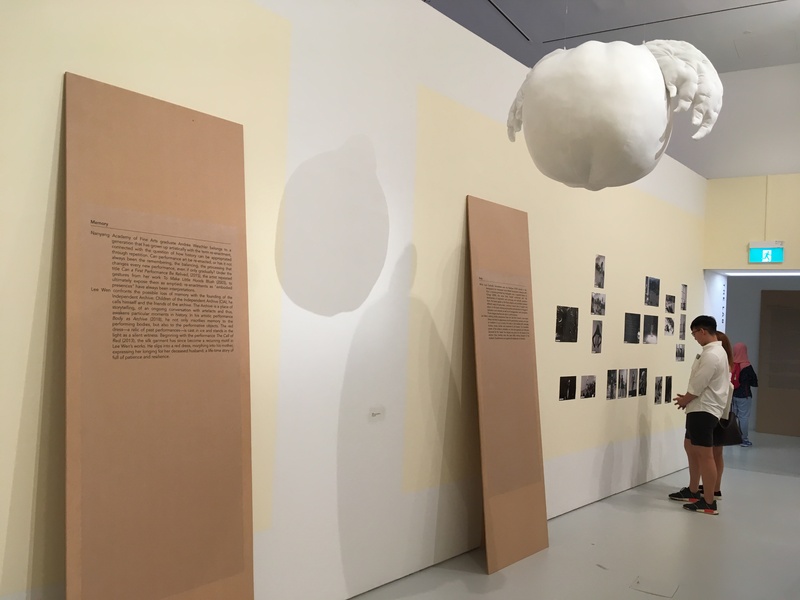 This exhibition showcased Nanyang Academy of Fine Arts’ (NAFA) Design and Media programme’s full-time lecturers and adjunct lecturers’ work. I organized this because I thought it was an interesting insight to some of the more unorthodox works that helped as design inspiration for all of us. 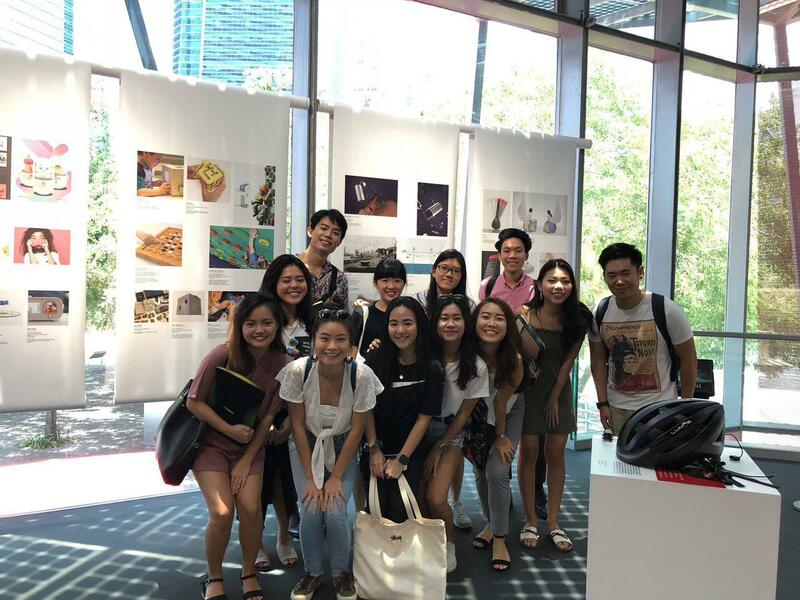 The second field trip I organized was also at NAFA. 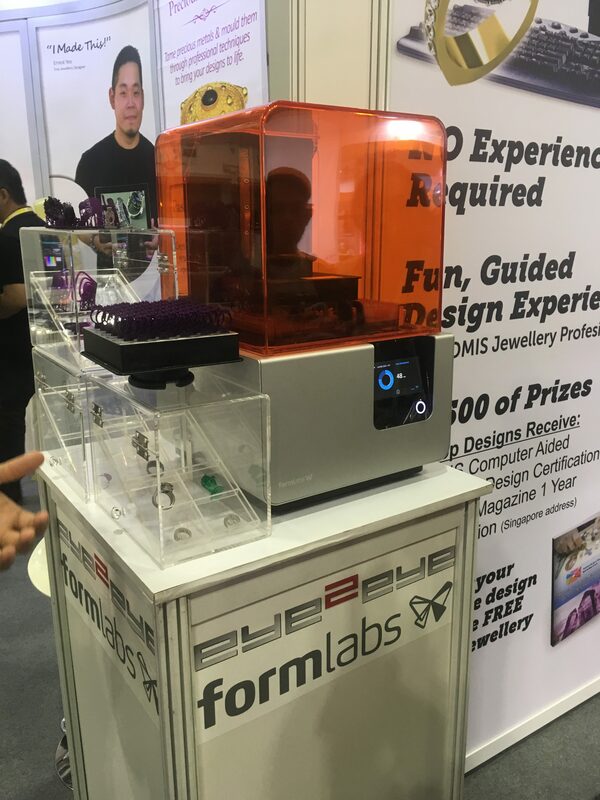 This exhibition was put together by 3D Design Programme at NAFA. 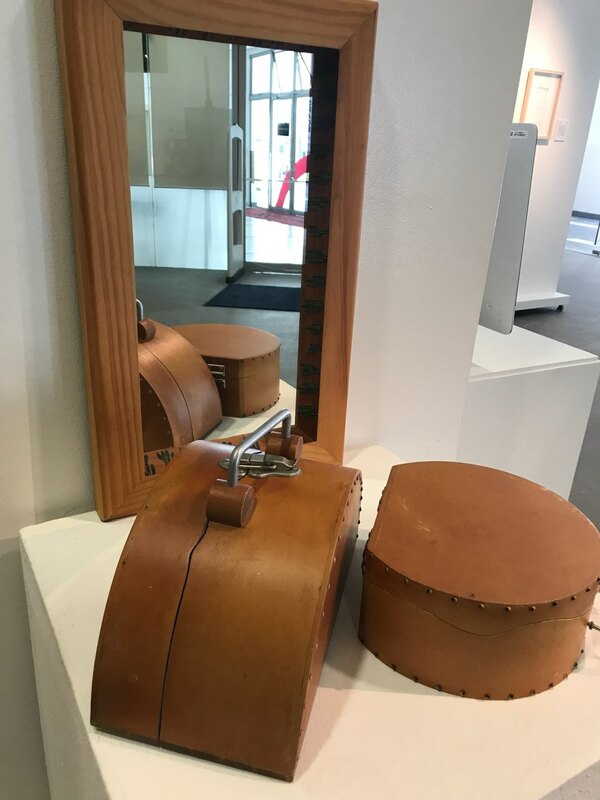 It showcased the design process of their students. I felt that it was useful in looking at others’ sketches, models and presentation boards. I attended three field trips, two of which I organised. 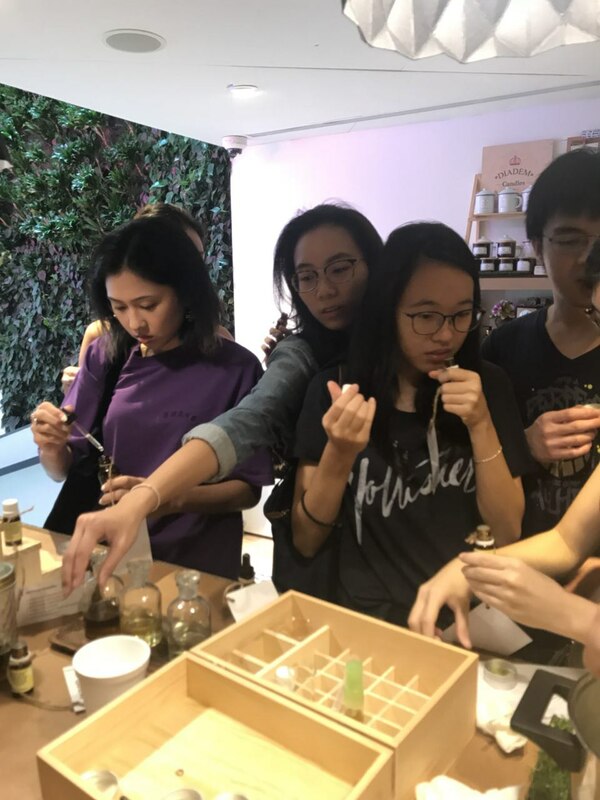 This field trip was a workshop where Theodore from Theo10 guided us how to add scents into our very own moisturiser and insect repellant. 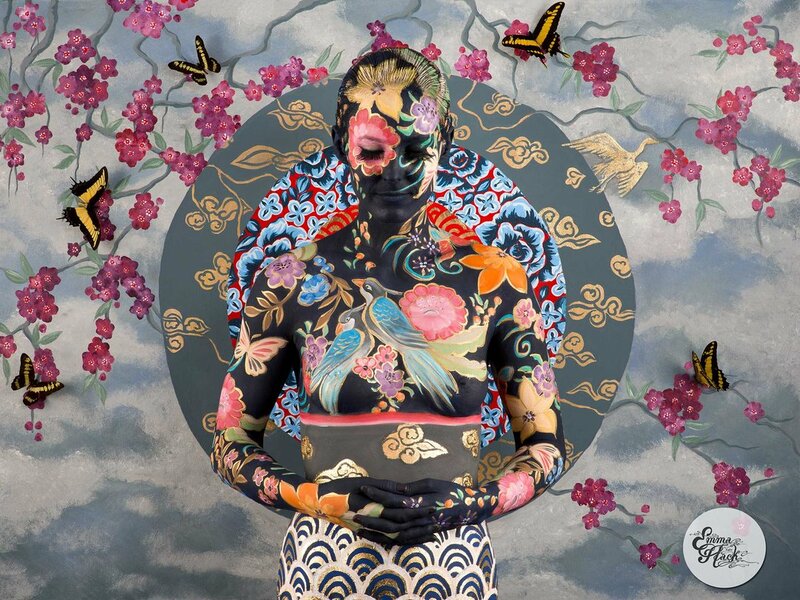 The Body Paint Camouflage Artist we observed is Emma Hack. More information about her can be found on her website. 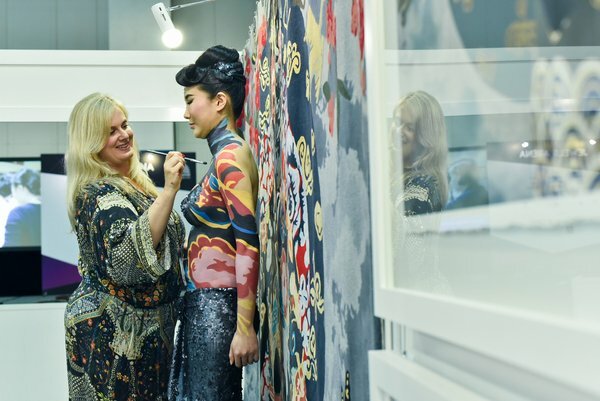 Unfortunately, we were not allowed to take any photographs, the media was able to and I was able to find the following photo that shows Emma hard at word painting the model’s body. 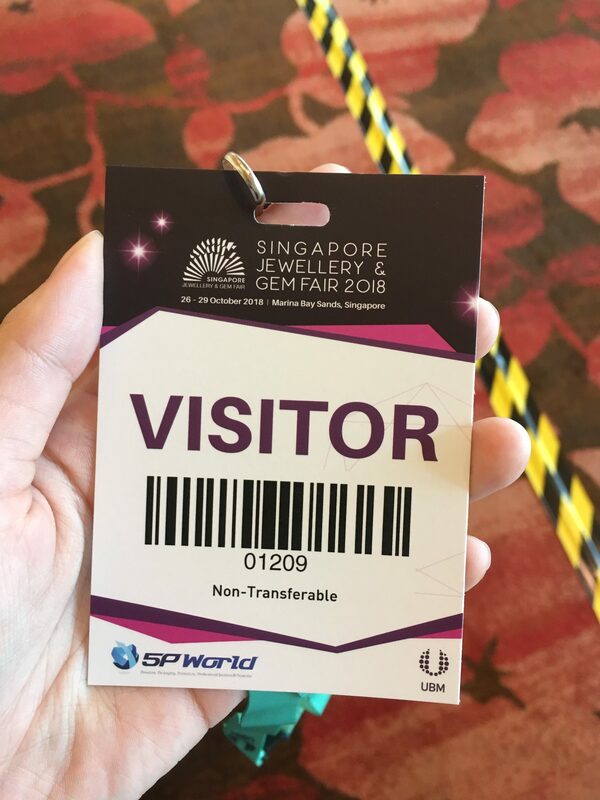 The gem jamming session was part of the Singapore Jewellery and Gem Fair event that took place in late October. 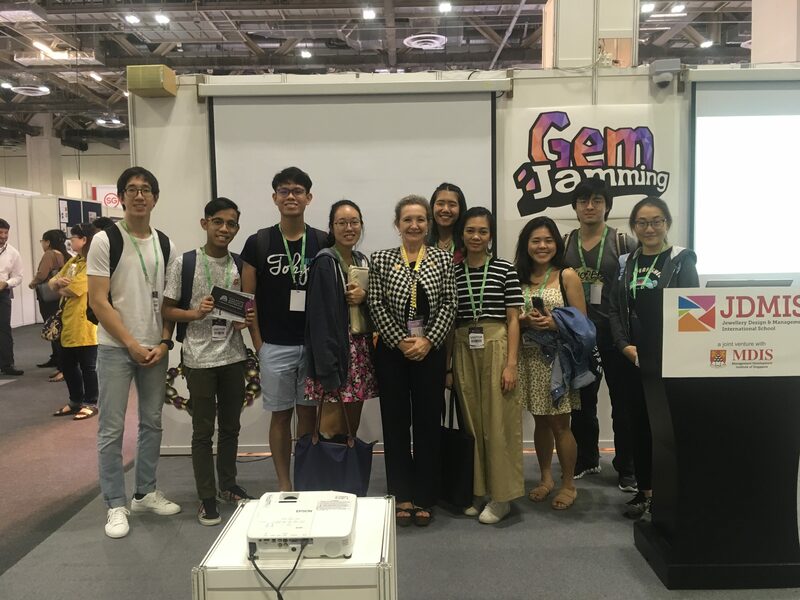 We attended an educational presentation by Ms. Tanja Sadow from JDMIS (Jewellery Design and Management International Schools). 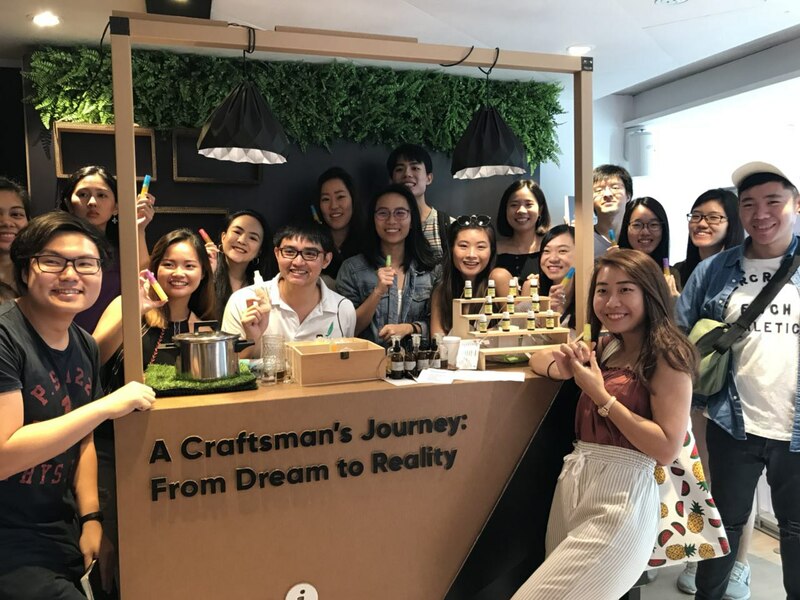 It was very eye-opening as we learnt how jewellery is traditionally (and sometimes, still is) made: from sketching, to wax carving to metal melting etc. 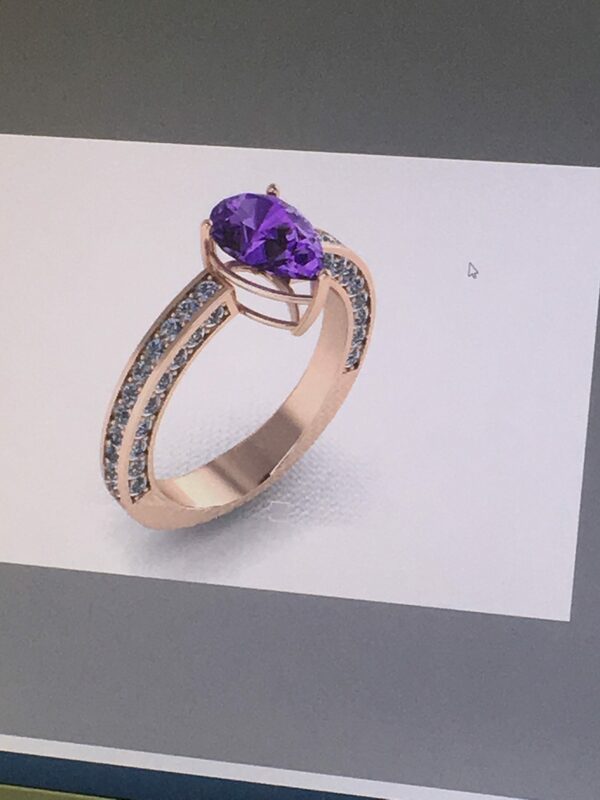 After that, we even got to experience the modern jewellery manufacturing method – 3D CAD Modelling. Here are the three field trips I attended, one of which I co-organised! 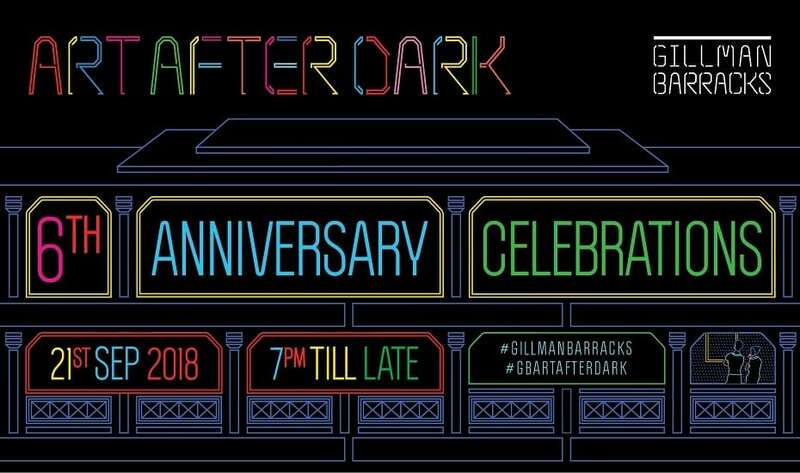 Together with Zi Lin, I organised and attended the trip to Art After Dark at Gillman Barracks, which was the art precinct’s signature open house event that doubled as a 6th anniversary celebration. 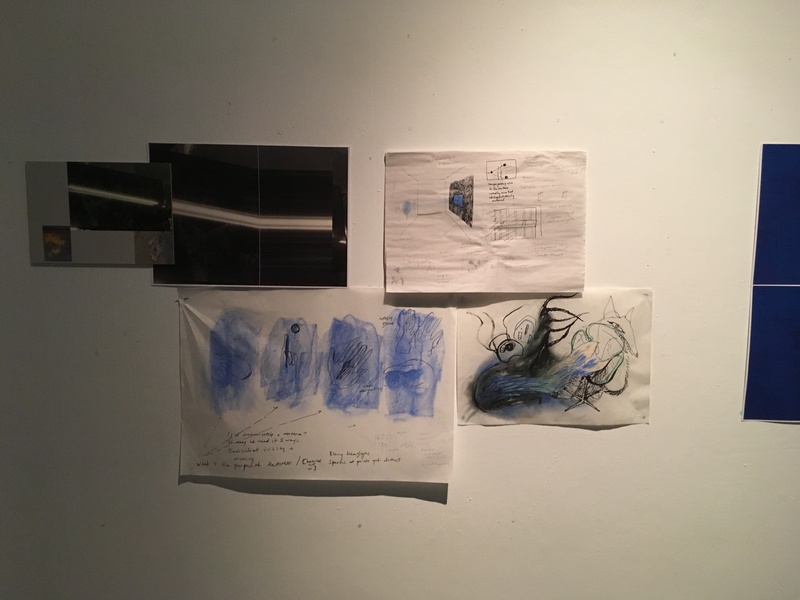 Involving artist open studios, exhibition openings, artist talks, and music performances, it allowed us to find out more about various artistic practices through the night. You can find the original post by both organisers here. 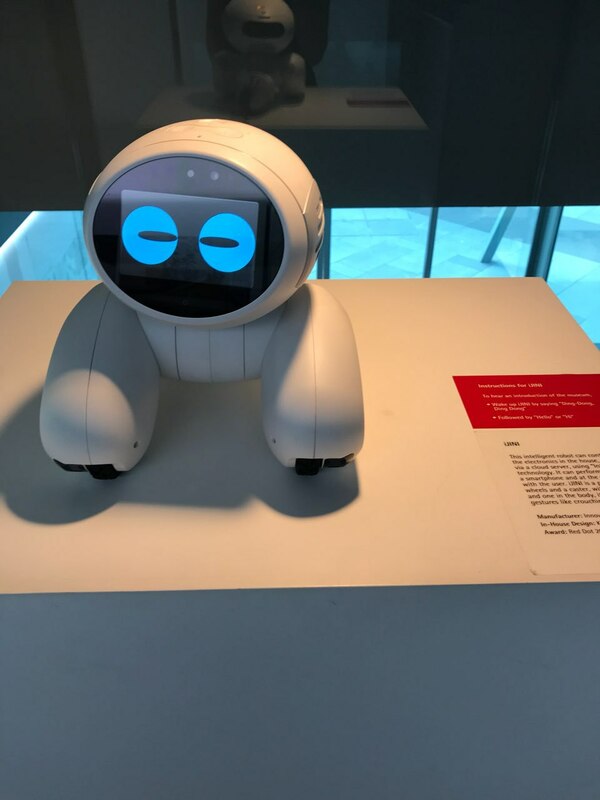 Together with my classmates, I visited the exhibition, A Preview Of The Future at the Red Dot Design Museum. 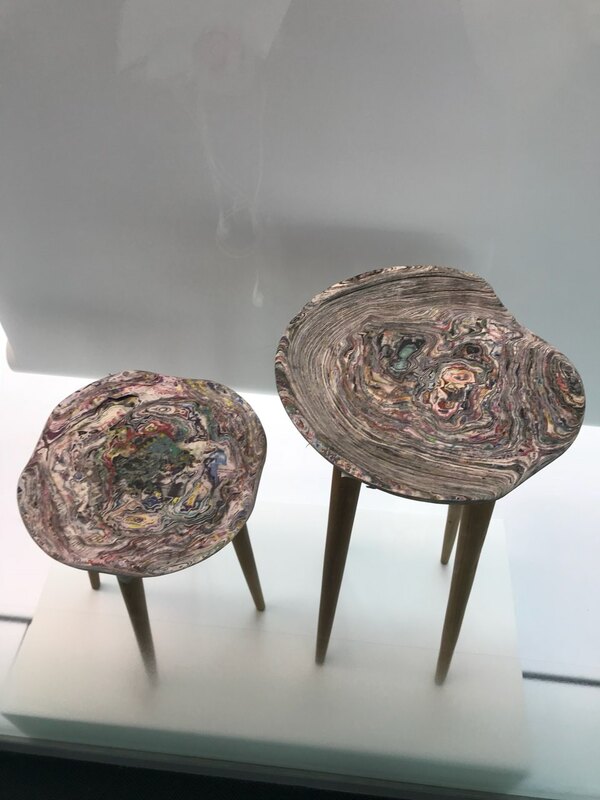 The exhibition displayed design research proposals from the winners of the Red Dot Award for Design Concept. 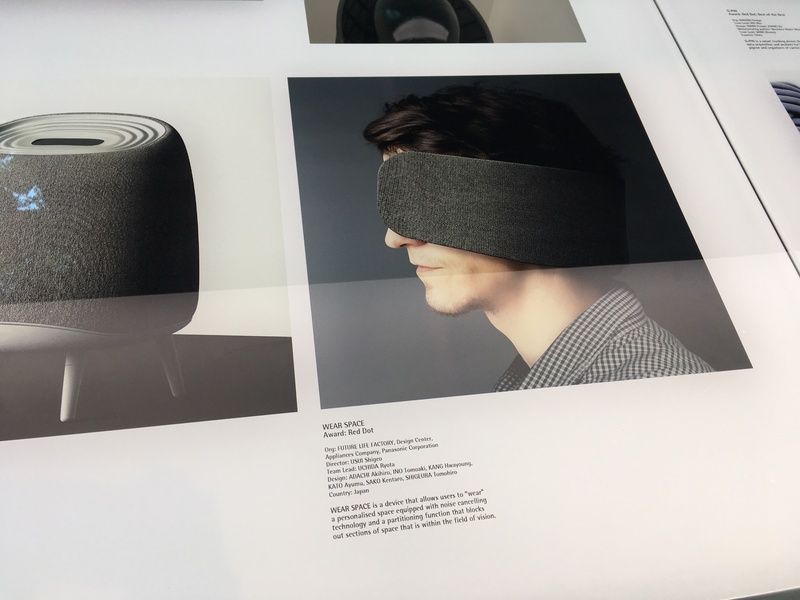 This edition in particular dealt with design concepts for the future — a fitting exhibition for our class. 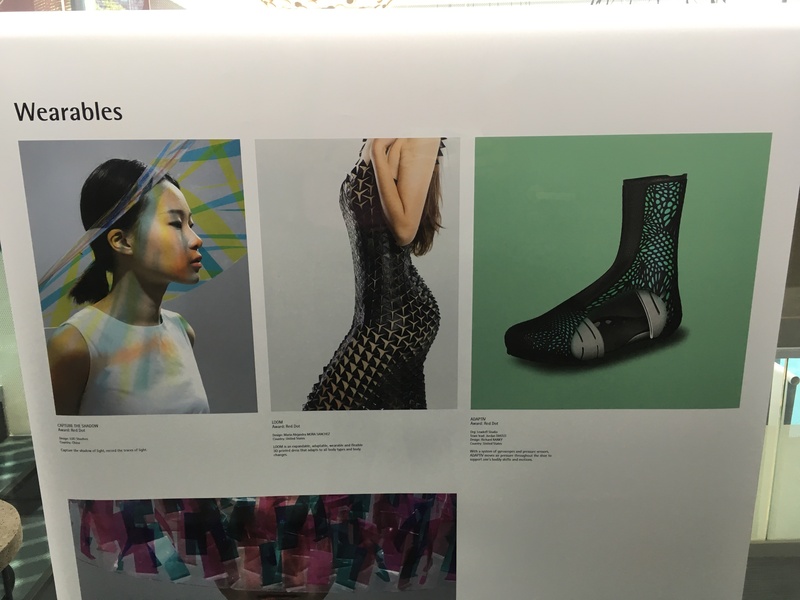 The show featured designs for tools, wearables, robots, and various other products. 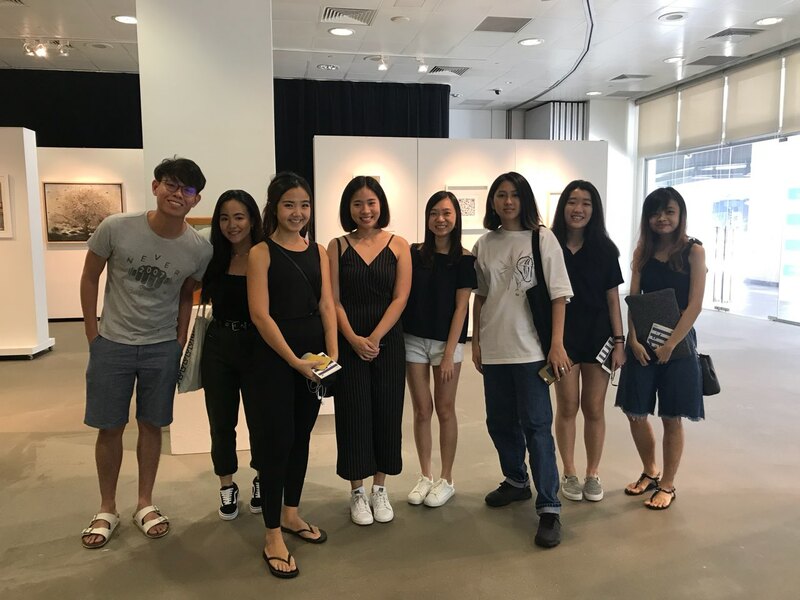 With my classmates, I attended the artist talk by Nguan, held by the Singapore International Photography Festival. 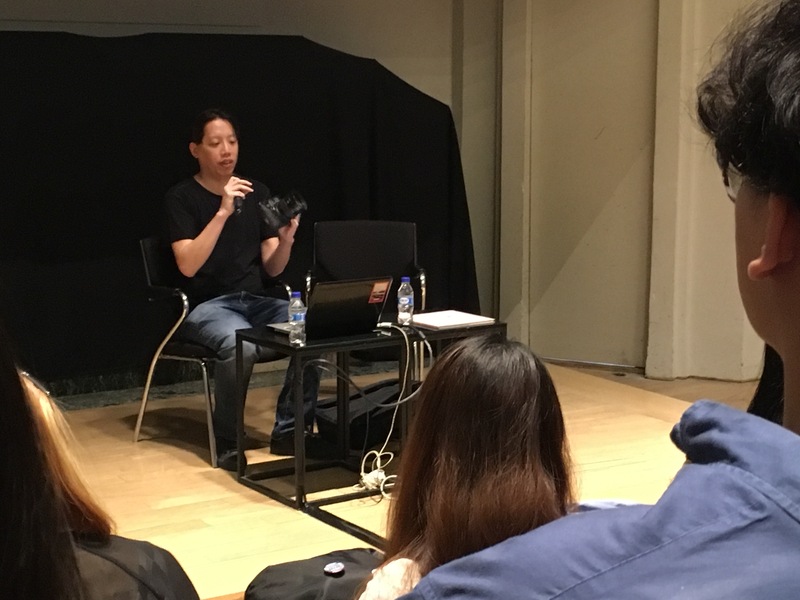 The talk was organised in conjunction with his photography exhibition entitled Singapore. 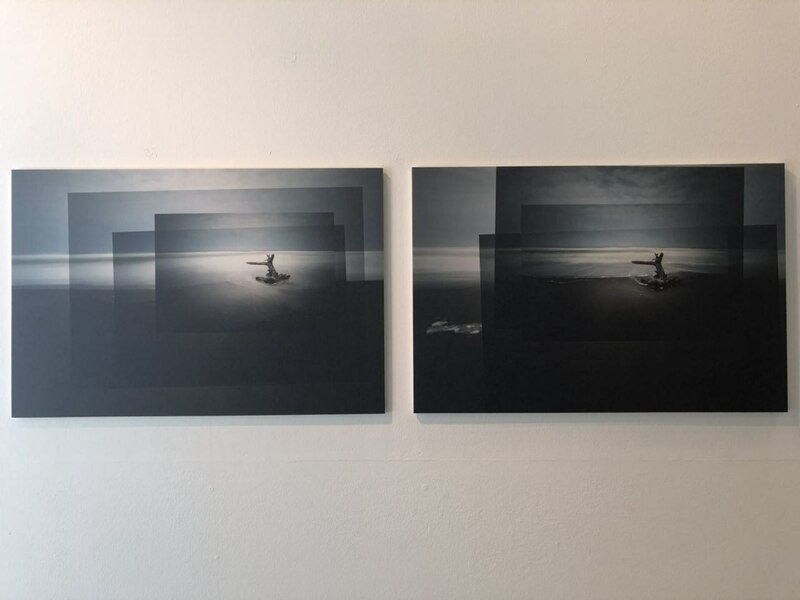 The series sought to present the country as dream landscape — romanticised and softly-hued. 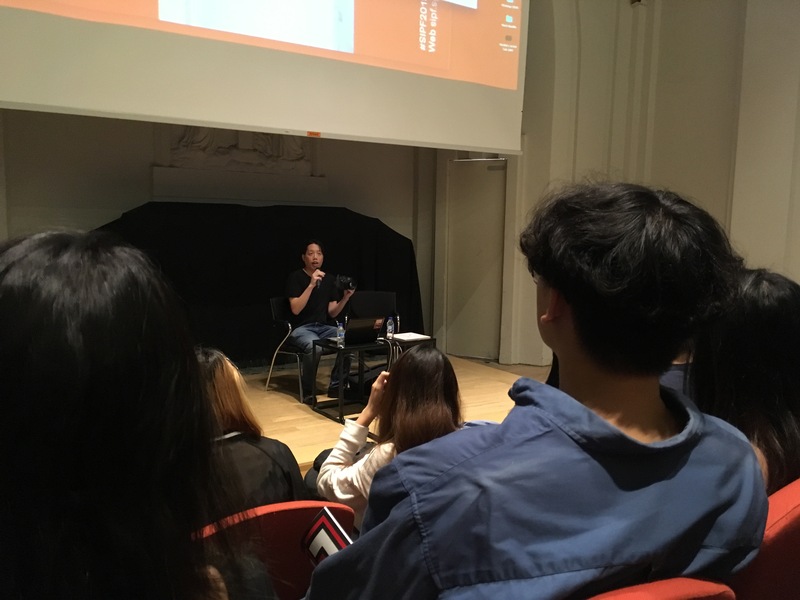 During the talk itself, Nguan talked about his process as a photographer — the methods utilised to capture a shot, the photographer’s tools, such as lighting and composition, and the notions of street photography and voyeurism.